We’d love your help. Let us know what’s wrong with this preview of Unmoored by Zara Hoffman. A witch. A siren. Soulmates? Alec Belgrave is overwhelmed. He's busy protecting his sister Fawn from the forces of Hell while also attending college in a different state. The last thing he expected was to learn their shared best friend was his soulmate. As a siren, Ivy Moore knows a lot about attraction. But having Supernatural beauty is useless if her own soulmate doesn't s A witch. A siren. Soulmates? As a siren, Ivy Moore knows a lot about attraction. But having Supernatural beauty is useless if her own soulmate doesn't see her as anything more than a sisterly best friend. Is it so unreasonable to want her soulmate to want her without fate pulling the strings? They may be soulmates, but that doesn't mean love will come easily. 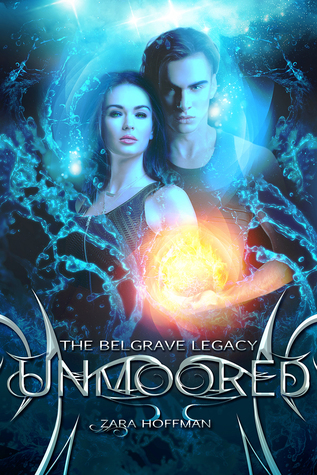 To ask other readers questions about Unmoored, please sign up. Zara Hoffman is a college student and YA author. She spends most of her time doing homework and writing new stories. When she isn’t wrapped up in projects, Zara can be found relaxing with friends and family, listening to music, reading and writing, or playing with her dog, Riley. Connect with Zara online at her website, on Facebook, on Twitter, or on Instagram.